Casio Computer Co, Ltd. is launching a next generation projector model for 2015 at a price point that will make its revolutionary Laser & LED Hybrid light source technology accessible for projects of any investment scale. Presented in a simple yet elegant chassis, the Core will begin shipping in May 2015 and is ideal for replacing existing projectors installed in classrooms and meeting spaces, offering outstanding total cost of ownership. Being lamp-free, the Core brings the unique benefits associated with the Laser & LED Hybrid light source technology to extended markets. The entire Casio range is mercury free, not only ensuring that the teaching environment is safe, but also replacing one of the most unreliable light sources on the planet (UHP mercury lamps), with two of the most stable (Laser and LED). 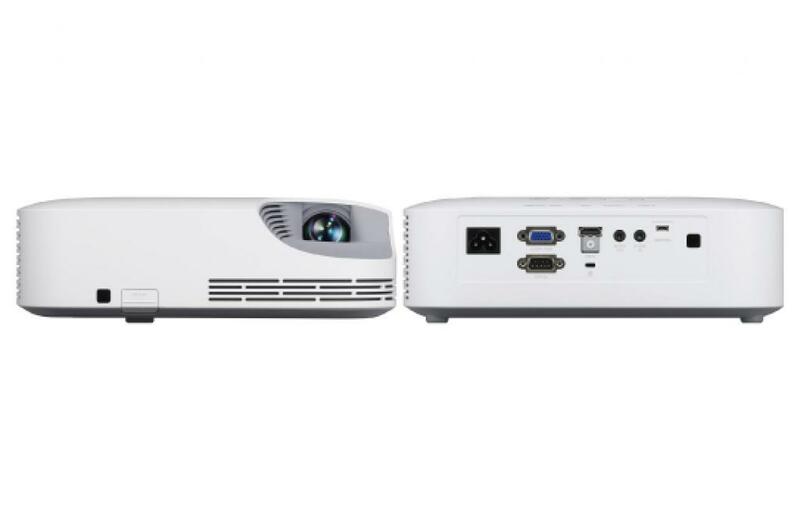 With no lamps or filters to change, Casio has significantly reduced the power consumption and maintenance of its projectors, resulting in industry-leading total cost of ownership. The projector can turn on and off in under eight seconds without a warming up or cooling down period, saving valuable time. Boasting a brightness of 2,700lm and an incredible 20,000 hour lifespan, the Core ensures that all presentations are bright and vivid for longer with minimum drop off in brightness, negating the need to draw the curtains or pull the blinds. The Core has been designed with the user in mind, featuring a very simple user interface and connection points that fit most universal ceiling mounts. Casio is the pioneer of Laser & LED solid state projection with a completely lamp-free range since 2010. Five years on, Casio now holds an incredible 87.8% market share. This new addition to our portfolio will ensure that everyone can benefit from high-quality, sustainable projection. We are very excited about this important new product. Once you see it, you will understand why we are so excited. Having no consumables to monitor or replace means that end users can fix their costs for projection for five years without hidden extras. With no replacement parts needed, the level of maintenance is significantly reduced, offering a viable and sustainable option for businesses and educational establishments looking for long-term technology solutions. In addition, there is no downtime for changing lamps, providing a much more reliable solution for end users.